FixedIt: Who sexually assaulted her? 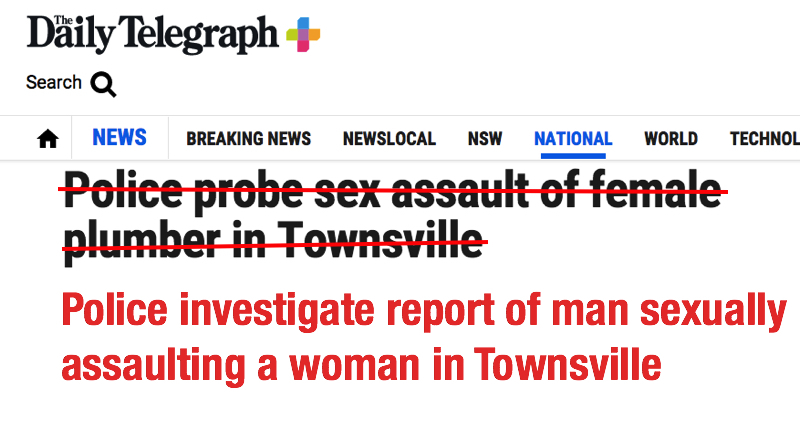 The Daily Telegraph reported police are investigating reports a woman was sexually assaulted while on working at a plumbing job in Townsville. It’s difficult to tell whether the word “probe” in the headline was a weak attempt at a pun or just a thoughtless use of words. Either way, it’s completely inappropriate. As well as the distasteful language, the person police are hunting in relation to the accusation was erased from the headline.